This weeks affirmation ‘Be Kind’ invites you to soften your thoughts and behaviours towards yourself and others. With the rise in social media platforms it is so easy to be bombarded everyday with other people’s lives. Even though this can provide us with great inspiration, it can also make us feel inferior or unworthy. Without us even knowing it, our mind begins to chip away at our personal identity, telling us we should be something else. All this negative thinking makes us start to be unkind to ourselves either through our thoughts about ourselves or the way we treat our bodies. This state of being unkind begins to creep into our everyday actions and on our mat. We being to try to forward bend further by pulling with our shoulders. We begin holding that lunge way longer than feels comfortable. 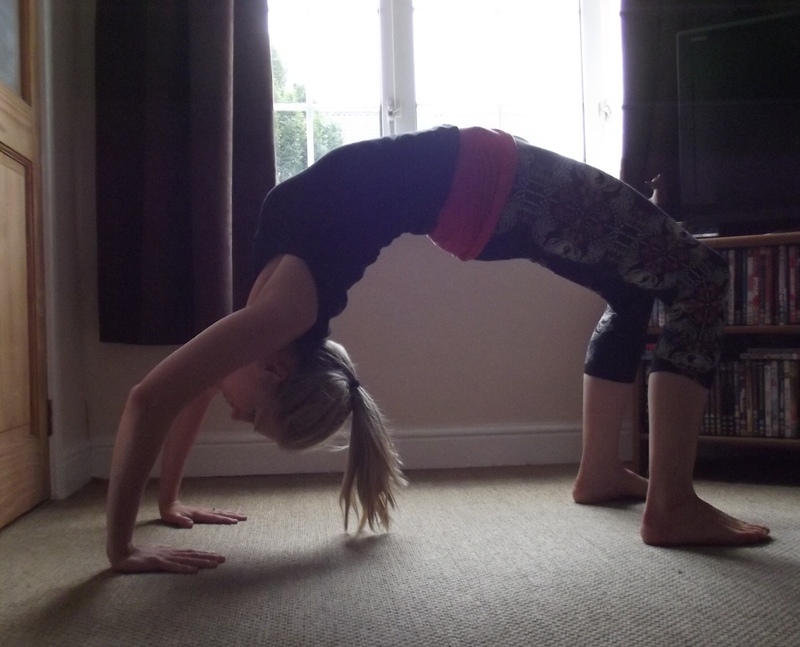 We remind ourselves over and over again how we are rubbish at Crow, rubbish at Warrior and rubbish at Headstand. 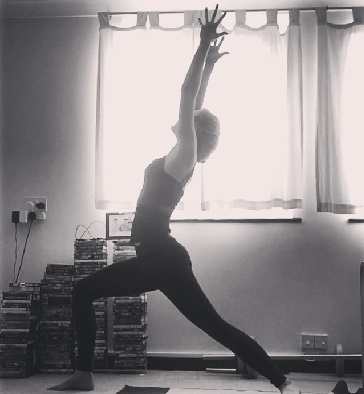 When yoga has finished, we end up feeling pretty rubbish rather than relaxed and rejuvenated. With each pose you come into remind yourself to be kind and not push too far into a stretch that doesn’t feel easy and comfortable. Follow your breath and remember to be kind by allowing it to flow naturally and freely without forcing it or holding in just to stay in a pose for longer. Allow your thoughts to be kind and not to judge every single move you make. Our practice is different everytime we come to the mat so just allow your body to be as it is right now. While driving, remember everyone on the road is trying to get somewhere so be a kind driver. When someone is talking to you or sitting with you, give them your full attention and be kind to them. Have kind thoughts about other people and the things around you. Avoid any judgemental thoughts. Say or do something kind for another person. 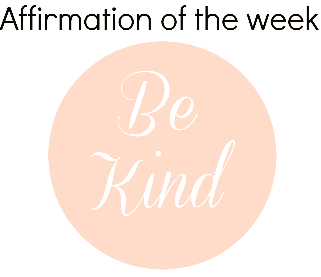 Let me know how you get on this week and where you find your ‘be kind’ affirmation popping up. Don’t forget you can connect with me on social media on how you’re doing.